Where the Heck is VK7BEN? It’s been quite a while between posts, and in fact this is only my second post since January. It’s not because I have been slacking off though. So I’ll try and give a bit of an update as to whats been going on. A couple of weeks after my last post, my Grandfather died 🙁 It was for reasons known about to family, but it always happens sooner than you would like and the loss has been immense. I was particularly close to my grandfather and even 3 months later the thought that I can no longer see him is very raw and hard to deal with. 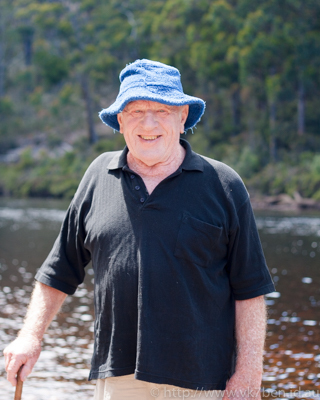 “Pa’s” influence on me has certainly be that of love for Tasmania’s vast wilderness. When I am not playing with amateur radio, I love taking photography of a wild Tasmania, of which you can see many of these photos over on Flickr. Pa also encouraged my technical abilities and was fascinated by the things I was doing in the radio space, from who I contacted via DX, to how light could be modulated with audio along to being able to broadcast Television. As I said, I’ll miss my conversations with him.